Civilian deaths reported as air strikes and shelling destroy buildings in several areas of the central city. Air strikes killed at least three civilians as Syrian government forces intensified their attacks and pressed forward with a new bid to retake several rebel-controlled districts of Homs. Read more. Four years ago today, around 5am, Honduran military troops stormed the home of President Manuel Zelaya in Tegucigalpa on secret orders from the Supreme Court, following what it called a ‘constitutional crisis’. As Zelaya’s daughter Pichu hid under her bed upstairs fearing she would be attacked, masked soldiers escorted Zelaya out of his house at gun point and forced him aboard a plane destined for Costa Rica, reportedly pausing to refuel at Palmerola, a US military base in Honduras. Read more. Colombia’s federation of cattle ranchers, representing the country’s large land owners, on Friday rejected a recently made agrarian deal with the FARC that according to the agricultural businessmen includes Venezuela-like expropriations of private property. Jose Felix Lafaurie, president of FEDEGAN, said the joint report from the negotiating table in Havana “generates more questions than answers,” and opens the door to legally acquired land being expropriated. Read more. The protestors have not lost their momentum for change, and continue to say they are not and do not represent a political movement. The Turkish government is aware of this and doesn’t for one moment undermine the strength of the numbers gathering.. Read more. Kurdish protesters clashed with security forces on Sunday in Turkey's Southeast, where protests were planned in at least four other cities to pressure the government to carry out reforms. The clashes came after security forces killed a Kurdish demonstrator in Diyarbakır on Friday,.. Read more. On a day that organisers have called a 'make or break' moment for President Morsi, millions expected to protest across the country calling for the ouster of Egypt's beleaguered leader. Read more + photos. America's NSA intelligence service allegedly targeted the European Union with its spying activities. According to SPIEGEL information, the US placed bugs in the EU representation in Washington and infiltrated its computer network. Cyber attacks were also perpetrated against Brussels in New York and Washington. Read more. The Guardian released another shocking NSA scoop on Saturday, revealing collusion and mass harvesting of personal communications among the United States and at least six European Union countries — only to delete it from their website hours after publication. The article, titled "Revealed: secret European deals to hand over private data to America,".. Read more. (Reuters) - U.S. President Barack Obama met the family of South Africa's ailing anti-apartheid hero Nelson Mandela on Saturday, offering words of comfort and praising the critically ill retired statesman as one of history's greatest figures. The faltering health of Mandela, 94, a figure admired globally.. Read more. Turkish public sector workers joined members of the pro-Kurdish Peace and Democracy Party (BDP) in a peaceful march through Istanbul's İstiklal Avenue to protest the killing of a demonstrator by the security forces in the southeastern Diyarbakır province yesterday. Clashes had broke out in Diyarbakır's Lice district.. Read more. By Daniel J. Graeber - Norwegian energy company Statoil said last week it was forming a special operations division to handle emergency operations in response to a terrorist attack on a natural gas facility in Algeria. The company said it would double the amount of employees.. Read more. The emergence of social movements in the outskirts of Sao Paulo is caused by the needs of the poorest, precisely this sector is fighting to stop the advance of the conservative right in protests. Thousands of anti-Mursi and -Muslim Brotherhood protesters took to the streets on Friday in several Egyptian cities including Tanta, Mahalla, Minya and Damietta. Demonstrators in Mahalla set up two tents to stage a sit-in until June 30. They chanted slogans calling for toppling the regime. Read more. The Peace and Democracy Party (BDP) announced that they would be convening rallies during the summer.. Read more. A Kurdish protester has been killed and at least eight others injured in clashes with Turkish security forces in the southeastern province of Diyarbakir. The clashes broke out on Friday between Turkish police and Kurdish demonstrators protesting.. Read more. Another act of brutal violence reportedly by Syrian rebels has appeared on the web. Unverified video shows the beheading of 3 supposed government supporters. 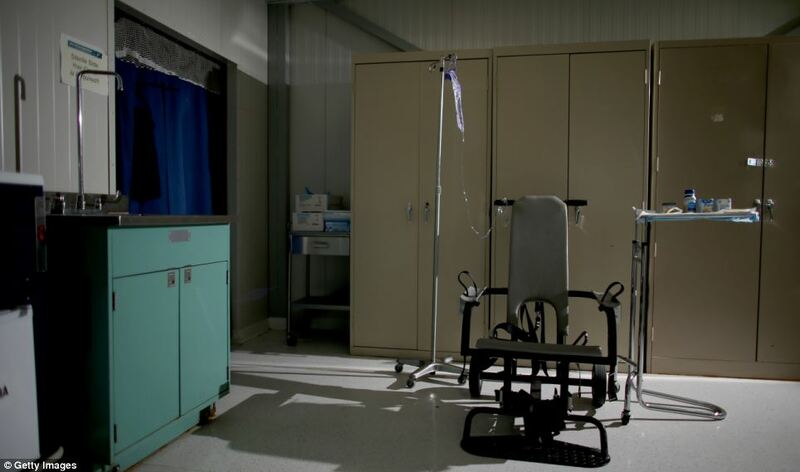 It might not look out of place in a private gym – but for the various straps to keep the occupant in place and the hospital drip stand looming ominously behind. Pictured is the notorious restraint chair at Guantanamo Bay, where former inmates claim they were subjected to long hours of agonising forced feeding. Read more + photos. "We'll get Bush in the US" the world's top war crimes prosecutor tells The Truthseeker after Dubya's deputies warn him against travel, lawyers file for Obama's arrest tomorrow when he hits South Africa, huge secret wars in America's name being masked from the folks funding them. Seek truth from facts with Yousha Tayob of the Muslim Lawyers Association, leading war crimes prosecutor Francis Boyle, Senior Staff Attorney Katherine Gallagher of New York's Center for Constitutional Rights which stopped Bush's first trip after his waterboarding admission, Marjorie Cohn, author of Cowboy Republic: Six Ways the Bush Gang Has Defied the Law, and former NSA intelligence officer Scott Rickard. Three influential Europeans from Luxembourg, Spain and Poland call on Germany to lead the euro zone out of the crisis without pursuing its own interests. It's a very straightforward sentence, seemingly written in stone, with no caveats, a fundamental comment on political life in Europe: "Nothing can happen in the EU without the active support of Germany's chancellor, Angela Merkel." Read more. 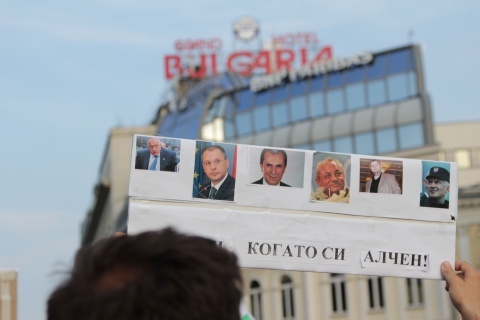 For the fourteenth day in a row, thousands of outraged Bulgarians staged Thursday evening nationwide protest rallies against the Socialist-led government of Prime Minister Plamen Oresharski. The massive demonstrations were sparked by the outrageous decision of the government.. Read more. BOGOTA, Colombia — The leftist government of Ecuador, under pressure from the Obama administration for considering a request for sanctuary from the American intelligence leaker Edward Snowden, announced Thursday that it will back out of a preferential trade pact with the United States that top Ecuadoran officials say is being used to blackmail their country. Read more. MOSCOW, June 27 (RIA Novosti) – Russia’s parliament on Thursday extended an invitation to fugitive ex-CIA employee Edward Snowden to help investigate whether American Internet firms provided information about Russian citizens to the US government. Snowden, a former contractor for the US National Security Agency,.. Read more. Is Julian Assange 'Spy' #9? The Obama Administration has charged eight people under the Espionage Act. And new revelations about tactics used by the FBI to collect data on Wikileaks over the last few years suggest that Julian Assange himself could be the ninth person facing espionage charges in a sealed indictment. So what do the FBI's tactics toward Assange mean for Edward Snowden and journalists entrusted with sharing his secrets? Political Commentator Sam Sacks explains. Retired Marine Gen. James “Hoss” Cartwright has been told he is a target of the probe,.. Read more. Press TV has conducted an interview with Mark Mason, cultural and political commentator, about the communications satellite service provider Intelsat announcing that it will take Iranian channels off the air as of next week. What follows is an approximate transcription of the interview. Read more. 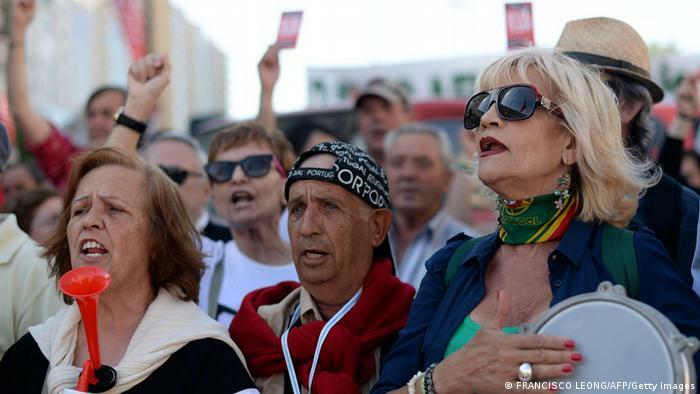 Two large Portuguese unions are staging a 24-hour general strike in Portugal to protest against the center-right government’s austerity measures. They claim spiraling unemployment has come in the wake of cost cutting. Read more. The protest demonstrations, which are targeting rampant corruption,.. Read more. Thousands of students, labor groups and activists march in Santiago as fires and violence run rampant during citywide demonstration. More than 100,000 gathered throughout various locations in Santiago on Wednesday afternoon to march for sweeping social changes aimed at improving education and working conditions. Read more. German Chancellor Angela Merkel said Thursday that arming Syrian rebels is a bad idea, and parliamentary leaders ought to think long and hard before acting. “The risks would be incalculable,”.. Read more. 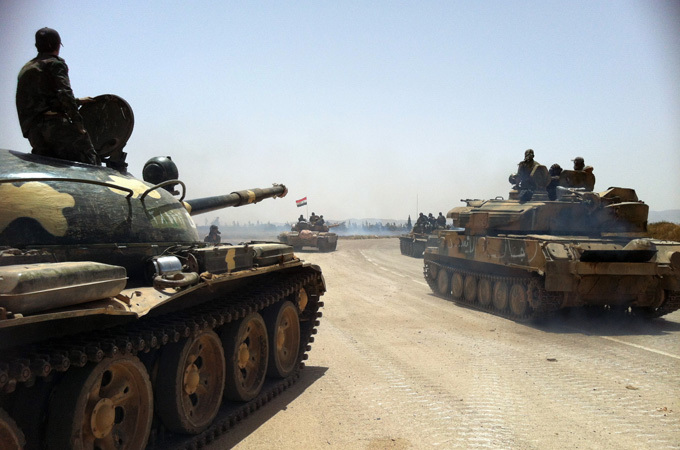 WASHINGTON—The Central Intelligence Agency has begun moving weapons to Jordan from a network of secret warehouses and plans to start arming small groups of vetted Syrian rebels within a month,.. Read more. By John Pilger | It is in popular culture that the fraudulent “ideal” of America as morally superior, a “leader of the free world”, has been most effective. In his book, 'Propaganda', published in 1928, Edward Bernays wrote: "The conscious and intelligent manipulation of the organised habits and opinions of the masses is an important element in democratic society. Read more. The hidden story about vaccines, autism, drugs and food... Americas health has been BOUGHT. “If you thought they hurt us with the banks, wait till you see what they’re doing to health care.” Read more. 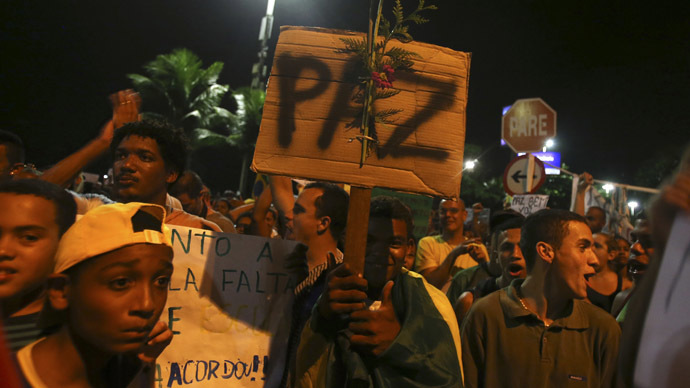 Brazil’s legislative body has thrown out a proposed constitutional amendment, which was a key grievance of protesters across the country. The government is also planning to introduce a range of political reforms to appease demonstrators. Read more. Wednesday, 26 June: According to financial daily “Jornal de Negócios”, thousands of workers around the country are expected to join the general strike called by trade union confederations CGTP and UGT for Thursday, the fourth since the government took office and the third agreed by the two organisations. With Greece still kicking around the idea of whether to try imposing losses on its public creditors as it did to private investors, German Finance Minister Wolfgang Schäeuble rejected the idea and said it’s not going to happen, and that Greece should stick with austerity. In his press conference on the German budget for 2014,.. Read more. Around 1000 protesters have gathered at the rear door of the Parliament building in downtown Sofia to demand the resignation of the socialist-led government of Prime Minister Plamen Oresharski. 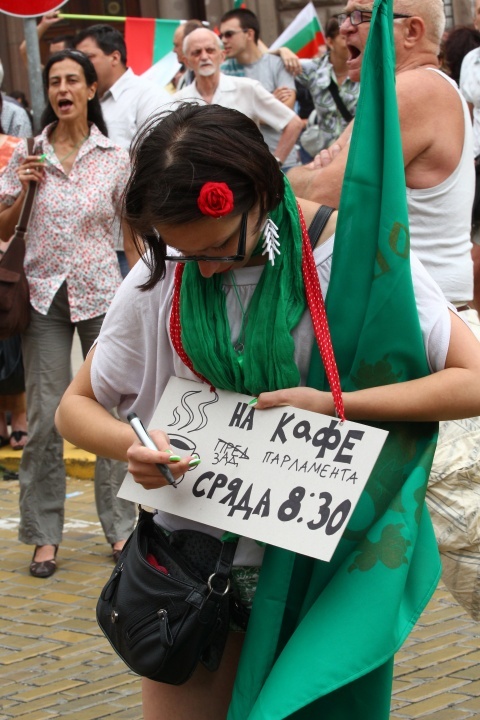 The event, titled "Let's Meet Over A Cup Of Coffee in front of Parliament", was yet again organized via social networks. Read more. Police have detained 29 protesters in relation to Taksim Gezi Park protests. ANKARA/IZMIR - Police have detained a total of 29 Taksim Gezi Park protesters in Ankara and Izmir. Read more. George Osborne set the battle lines for the next General Election today as he announced sweeping cuts.. Read more. Britain's intelligence agencies will emerge as the biggest winners from the Government’s review of public spending, The Telegraph can disclose. MI6, MI5 and Government Communications Headquarters (GCHQ) will see an inflation-busting increase in their combined £1.9 billion budget,.. Read more. NEW Anglo Tapes reveal bank chief executive David Drumm joking with a senior executive about the haemorrhage of funds from the institution hours before the Government bank guarantee. Read more. ComRes, een professioneel enquêtebureau, vroeg in een landelijke steekproef aan Britse burgers om het dodental te schatten van de oorlog in Irak sinds 2003. De resultaten tonen aan hoe de Britse media de publieke opinie misleiden. 59 procent van de respondenten dacht dat minder dan 10.000 Irakezen stierven als gevolg van de oorlog. Ook over Libië en Syrië draait de oorlogspropaganda in de media op volle toeren. Lees meer. In the wake of whistleblower Edward Snowden's leak of NSA files, Jeremy Scahill, author of Dirty Wars: The World is a Battlefield and featured reporter in the new documentary film of the same name, says under the Obama administration journalists are being intruded upon and whistleblowers are being charged with crimes. Scahill is also a national security correspondent for the Nation. Edward Snowden received a refugee document from the government of Ecuador that allows him to travel, because the United States has revoked his passport. The founder of WikiLeaks, Julian Assange, informed this yesterday in a conference call with reporters,.. Read more. The European Union on Tuesday offered its “full support” for Colombia’s peace talks between the government and rebel group FARC. Colombia’s Defense Minister Juan Carlos Pinzon met with the Deputy Secretary General of European External Action Service Helga Schmid during his visit to Brussels on Monday and Tuesday. Read more. Brussels, Jun 25 (Prensa Latina) The North Atlantic Treaty Organization (NATO) and Colombia sign here today an agreement on cooperation and exchange of information through which the South American country will access good practices and professional standards of the agency, according to the statement. The document was signed by the Deputy Secretary General of NATO,.. Read more. Colombia’s national government on Monday said it will not talk to farmers in the northeast of the country until they end roadblocks and hostility towards police. According to local reports, the government also failed to talk before the protests turned violent. Read more. 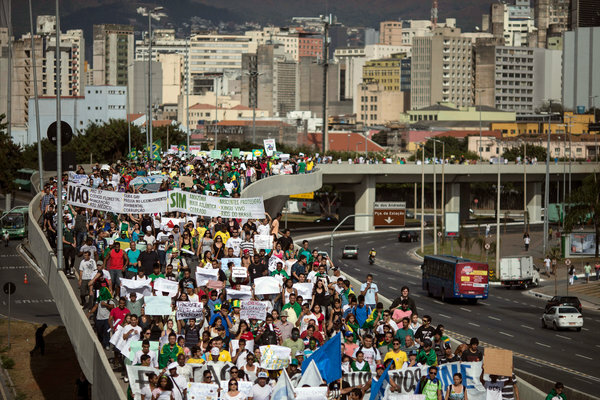 SÃO PAULO, BRAZIL – President Dilma Rousseff has summoned Brazil’s 27 governors and 26 mayors to Brasília to deliver her vision of wide-ranging reforms for a country that has “ground to a halt” under the weight of a wave of mass protests, which has seen over a million people take to the streets demanding political reforms and improved public services. In response to the protests,.. Read more. Tokyo Electric Power Co. said radioactive water may still be leaking into the sea from the crippled Fukushima No. 1 nuclear power plant after enhanced levels of radioactive tritium were detected in the port area in front of the facility. The plant operator said June 24 it is investigating the matter with some urgency as the finding suggests that radioactive water,.. Read more. 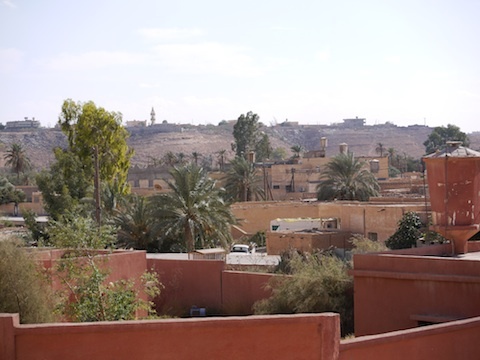 Almost two years after it fell to the revolutionaries, Bani Walid, one of the last strongholds of Qaddafi regime and central city of the million-strong Warfalla Tribe remains in a sensitive state. It has seen several bloody conflicts since October 2011 but the most serious was the security operation to ‘reinstate the writ of government’ in October last year. Read more. UN peace envoy Lakhdar Brahimi says peace conference on Syria unlikely to take place amid rising bloodshed. The UN and Arab League envoy Lakhdar Brahimi says that a conference on ending the war in Syria is unlikely to take place next month. Read more. Colombia will invest more than $50 million in the creation of a police intelligence unit that is able to wiretap internet services like Facebook and Skype, newspaper El Tiempo reported Sunday. According to the daily’s Sunday edition, the online wiretapping equipment.. Read more. Quito, Jun 24 (Prensa Latina) Ecuadorian President, Rafael Correa, assured today that his government will analyze the case of Edward Snowden responsibly, and assured that he will take a decision with sovereignty. "You can be sure that we will analyze the Snowden case.. Read more. PRISM-gate has made Edward Snowden a well known whistleblower. America is split over what to believe. Does NSA tapping of private phones helps fight terror and Snowden is a traitor who's endangered the nation? Or is it a violation of the US constitution and Snowden is a hero to have braved talking against the government? Former NSA and CIA director Michael Hayden speaks his mind on SophieCo. The Government of Venezuela has intensified its fight against speculation and hoarding of basic food basket's products, that's why the Institute for the Defence of People and their Access to Goods and Services (INDEPABIS), will begin on Tuesday control and inspection efforts throughout the country. With presidential primaries less than two weeks away, the Chilean security forces may forcibly remove student protesters from high schools designated as voting locations. Student protesters may face eviction from occupied public high schools.. Read more. Looks at Ghana’s independence from British colonial rule as the first African nation to break free from the shackles of colonialism with the leadership of Kwame Nkrumah, hailed as the Osagyefo. Africa: War is Business reveals how war economies come into being in Africa, and how they are maintained. The film investigates the causes and effects of these economies, and where we as Western consumers fit into the equation. De onlangs uitgelekte mondiale spionageactiviteiten van de Amerikaanse “National Securicy Agency” (waarvan overigens ook de Nederlandse overheid gebruik van maakt,al wil zij dat niet met zoveel woorden toegeven), worden gepleegd onder het mom van dat zij de burgers willen bescherming tegen het ‘terrorisme’. Momenteel kun je je beter afvragen wie nu eigenlijk de echte terroristen zijn. De door de mainstream media aangeduide ‘terroristen’ of de overheden zelf? Lees meer. Achtergrond - Wat voor krachtige tools gebruiken inlichtingendiensten als de NSA om telefoons af te tappen en sociale media te archiveren? Een klein overzicht. Wat gebruiken diensten als de NSA aan tools en wat kunnen deze in kaart brengen? Lees meer. As governments use all powers at their disposal to pry into the lives of ordinary citizens worldwide, people are trying to protect themselves - seeking out services that shield their personal information. This has led to a veritable boom of digital encryption. RT's Marina Portnaya has the details. Thousands gathered in Istanbul's Anatolian district of Kadıköy to mark the upcoming 20th anniversary of the Sivas massacre, upon a call from Alevi associations. A number of unions as well as the Taksim Solidarity Platform, a local organization that launched the Gezi Park protests, also attended the demonstration. Read more. Hollande warns Assad may benefit from chaos; calls on Iranian president to use his influence to help Syria crisis. DOHA - Syrian rebels need to wrestle back control of territory.. Read more. It identified them as First Lieutenant Samer Jeryes Tanios, Lieutenant George Elian Bou Saab, Sergeant Ali Adnan al-Masri, First Soldier Rami Ali al-Khabbaz and soldiers Bilal Ali Saleh and Elie Nicola Rahme. Read more. The former CIA contractor, Edward Snowden, has asked Ecuador for political asylum, the country’s foreign minister, Ricardo Patino Aroca, wrote on Twitter. The whistleblower is now in Moscow after fleeing Hong Kong in a bid to elude US extradition. Read more. Union leaders warned on Saturday of co-ordinated industrial action against the Government's spending cuts as thousands of activists gathered to highlight the impact of the coalition's controversial austerity measures. The so-called People's Assembly brought together unions, politicians and campaign groups.. Read more. SÃO PAULO, Brazil — Brazil braced for another day of demonstrations on Saturday, after many in the country’s sweeping protest movement angrily dismissed an effort by President Dilma Rousseff to address their broad demands. People took to the streets in some cities on Saturday morning,.. Read more. Turkish riot police fired water cannon to clear thousands of protesters from İstanbul's Taksim Square on Saturday, the first such confrontation there in nearly a week. The crowd quickly scattered, and water cannon trucks parked at several entry points to Taksim to prevent people from regrouping. Read more. 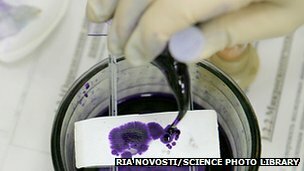 Adding silver to antibiotics makes them 10 to 1,000 times more effective at fighting infections, research suggests. Silver has been used as an antimicrobial for centuries, but little has been known about how it works. Read more. Unemployment will soar above 30 percent next year, a report by the Center of Planning and Economic Research (KEPE) showed on Friday. The report published in the KEPE journal showed that the jobless rate this year will amount to 28.5 percent before climbing to 30.4 percent in 2014. Read more. 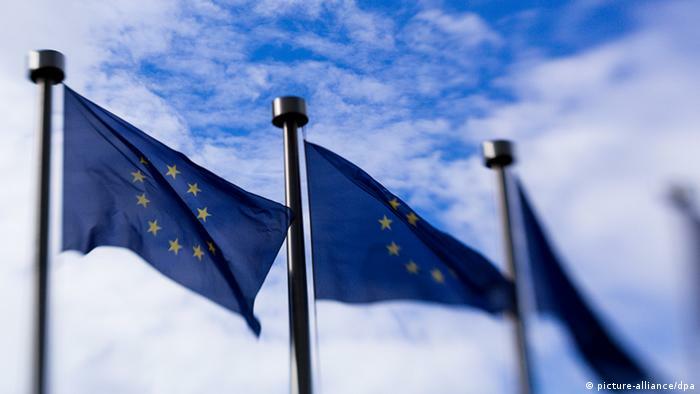 European Union | EU finance ministers have failed to agree on how to downsize or close banks without calling on taxpayers to bail out struggling lenders. A disagreement between France and Germany was a major stumbling block. Read more. 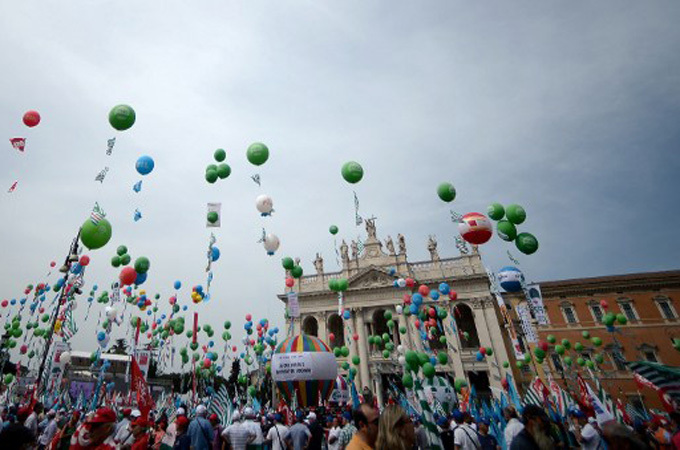 An estimated 100,000 workers and jobless people have marched in Rome to protest against.. Read more. WASHINGTON — CIA operatives and U.S. special operations troops have been secretly training Syrian rebels with anti-tank and antiaircraft weapons since late last year,.. Read more. UN experts say they do not confirm the claims by the United States, France and Britain that the Syrian government has used chemical weapons against the militants. "We are not able to say who has used chemical agents or chemical weapons,” said Paulo Pinheiro,.. Read more. PARAMARIBO - Na meer dan een jaar zal Nederland weer op het hoogste niveau vertegenwoordigd zijn in Suriname. Ernst Noorman begint maandag als 'tijdelijk zaakgelastigde ad interim' op de Nederlandse ambassade in Paramaribo. Lees meer. 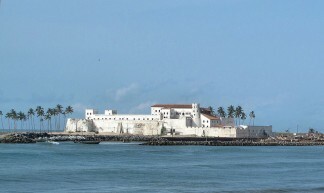 RECENSIE - In zijn boek ‘Het kasteel van Elmina’ beschrijft Marcel van Engelen de lucratieve Nederlandse slavenhandel in West-Afrika. Hoe schuldig waren wij eigenlijk? Het kasteel van Elmina van schrijver en journalist Marcel van Engelen vertelt een drievoudig verhaal. Lees meer. WILLEMSTAD – A research, which was commissioned by UNICEF and the United Nations children’s organization, has been done on the situation of children in Curaçao in 2012. A report was created with their key findings and recommendations. Read more + report. Het leegplunderen van Afrika is niet iets van vandaag of gisteren. Raf Custers beschrijft de afgelopen decennia ervan, waarbij de nadruk wordt gelegd op de ontwikkelingen in Congo. Half juni berichtten de media over de fusie tussen de twee Canadese uranium mijnbouwmaatschappijen Mega Uranium en Rockgate Capital Corporation. Lees meer. Foreign minister Hector Timerman once again anticipated Argentina’s willingness to overcome the Malvinas (Falkland) Islands sovereignty conflict through dialogue, but unfortunately a resolution of the dispute was ‘hostage in London’ and of UK’s ‘imperial disdain’. Timerman on Thursday addressed the UN Decolonization Committee in New York saying.. Read more. British defence exports rose by 62% in 2012 – the largest increase for five years. New figures published today by UK Trade & Investment’s Defence and Security Organisation (UKTI DSO) show that.. Read more. 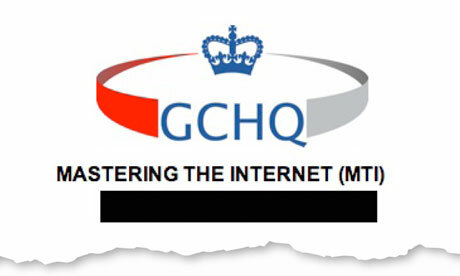 Britain's spy agency GCHQ has secretly gained access to the network of cables which carry the world's.. Read more. 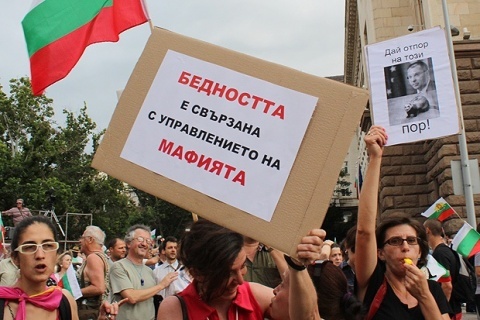 Mass protest rallies continued in Bulgaria Friday with demands for the resignation of the government of Prime Minister, Plamen Oresharski, elected on the mandate of the Socialist Party. In case there is no resignation, the demonstrators threaten to blockade of the National Palace of Culture,.. Read more. Two more leaks of radioactive water found at the Fukushima No. 1 nuclear plant suspended desalination operations and will likely further delay the full-scale use of a decontamination system, Tokyo Electric Power Co. said. TEPCO on June 21 confirmed that 360 liters of highly contaminated water spilled.. Read more. Singapore health officials have warned that air pollution is at hazardous, record-high levels due to peatland wildfires in neighboring Indonesia. In a bid to quell a diplomatic row, Jakarta has sent helicopters to ‘seed’ rainclouds over the blaze. Read more + photos. A hundred cities across Brazil have seen a fresh wave of mass protests while the first death has been reported among the demonstrators, in the state of Sao Paulo. Reports say the anti-government rally amassed a staggering one million people. Political analyst Adrian Salbuchi believes it's ultimately the colossal gap between the rich and the poor that's enraging the people. Lebanese president calls on Shia Muslim group to withdraw fighters from war-torn Syria to avoid sectarian strife. Lebanese President Michel Suleiman has called on the Shia Muslim Hezbollah movement to pull its fighters out of Syria,.. Read more. A Zionist unit of 10 soldiers and 4 Hummer vehicles crossed on Wednesday the border fence in southern Lebanon and moved forward near ‘Al-Wazzani Fort’ project across the newly paved road, Al-Manar website correspondent reported. The enemy force was guarded by two Merkava tanks. Read more.